What Flue Steams’ IKECA Membership Means for Our Clients | Flue Steam Inc.
IKECA membership signals compliance with the gold standard of kitchen exhaust cleaning practices. 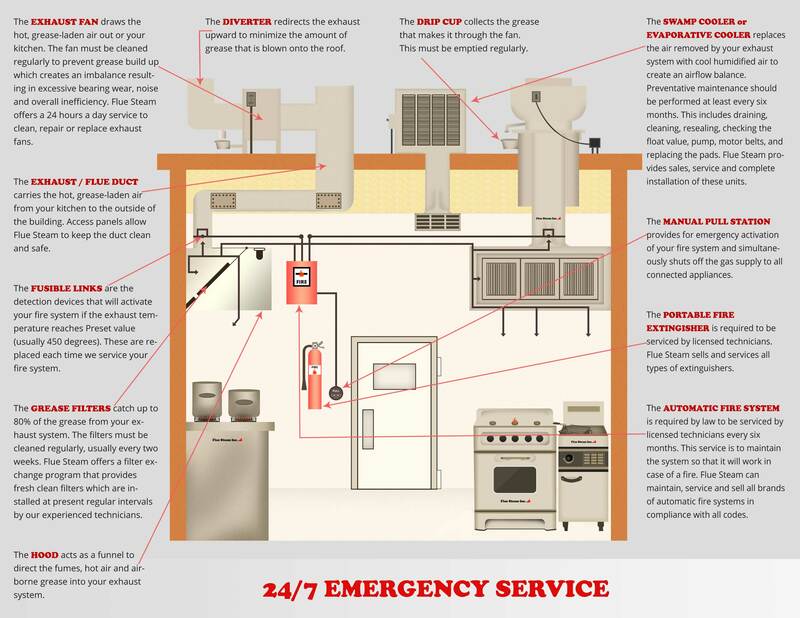 There are quite a lot of companies out there offering kitchen exhaust cleaning services. Unfortunately, not all of them are very reputable. They may not do a very good job, either unintentionally or deliberately, and because it is difficult to see every nook and cranny of your exhaust system, you may not realize that a shoddy cleaning has left your property at risk of a fire. One excellent way to know you are working with a reputable company that provides quality services is to check for IKECA membership. 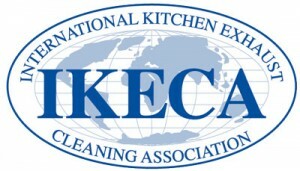 IKECA stands for the International Kitchen Exhaust Cleaning Association. Membership in this trade organization signals that the company you’re about to hire is serious about their work. Flue Steam is proud to be an IKECA member because it enables our clients to rest assured as to the following key points. As an IKECA member, Flue Steam employs individuals who have successfully completed IKECA courses related to kitchen exhaust cleaning and fire safety. This means that clients can rest assured our employees are fully trained and up to date on various tools and techniques involved in their work, as well as on local code requirements affecting kitchen exhaust systems. When you work with an IKECA company, you know that you are getting honest and accurate information about the best practices in kitchen exhaust system cleaning. In other words, you don’t have to wonder if you’re getting cleanings too seldom or too frequently, or if you’re having enough grease removed at each cleaning. We will provide all of this information to you based on our understanding of industry best practices as identified by IKECA. Many trade organizations award certifications for life. This is not true of IKECA. IKECA certifications must be kept up through the earning of continuing education credits, which can be acquired through attendance at various industry seminars and events. Because achieving and maintaining IKECA membership requires serious effort, it signals to our clients that we are dedicated to getting the latest training and education that will enable us to serve them better. One very helpful tool that IKECA puts out is a comb that can be used to measure the depth of grease buildups on exhaust hoods and duct walls. Using this comb, we can prove to you that our cleaning services have made a significant difference in the cleanliness of your exhaust system. We can also use data gathered from repeated use of the comb to estimate how fast grease builds up in your system and how frequently you need cleanings, to make sure you don’t waste money on cleanings before you need them or risk going too long between cleanings either.